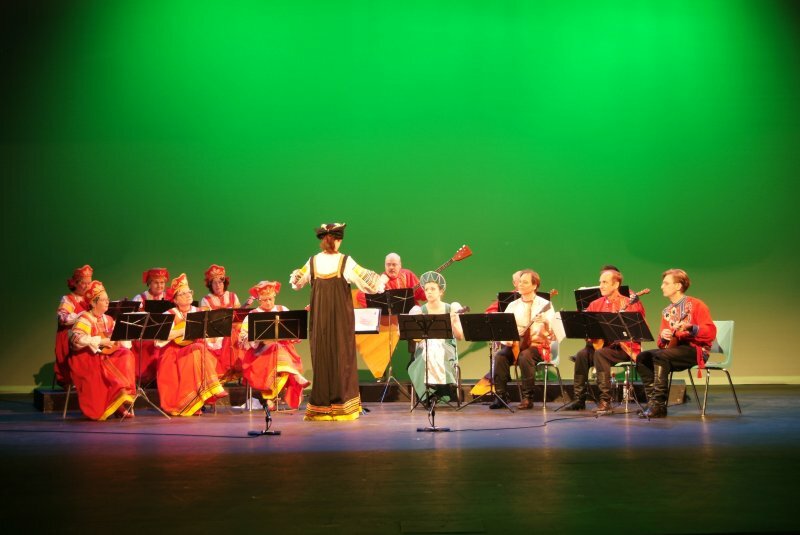 The Vancouver Balalaika Orchestra has been in existence since 1968. The orchestra's first conductor was Mr. Sergej Luzgin, a talented musician whose enthusiasm sparked an interest in the Russian community to start an orchestra. Russian instruments were resurrected from basements and attics, and 30 musicians gathered at the Vancouver Russian Community Centre for the first rehearsal. Most of the participants had no musical background and none of them had ever played a Russian instrument. After two hours of rehearsal, and to everyone's astonishment, this group of people managed to coherently play one song! The orchestra has come a long way since those early days, having 8 conductors share their talents with the group, and releasing 4 recordings over the years. The RCC Orchestra has performed all over the lower mainland in conjunction with the Choir and Dancers as well as on its own. It has also hosted the 1986 and 1990 Balalaika and Domra Association of America Conventions, and participated in performances in Seattle, Victoria, Washington DC and New Orleans. The current conductor is Natasha Lozovsky-Burns who has been running the 13 member group since 1983. The orchestra's mission has always been to encourage people to appreciate Russian music and this has been achieved by always encouraging new participants. Interested in finding out what a balalaika or domra are? The orchestra practices on Mondays at the RCC from 7:30 until 9:15. Please forward enquiries using the Contact Us section of this website.